Today, we have no appointments until evening when we are meeting several of Dan's former students at a stationary boat restaurant. We noticed some interesting new graffiti in Zamalek and we were told that there are some very interesting walls in Garden City at American University in Cairo (AUC). Along the way, we visited some of my favorite shops. 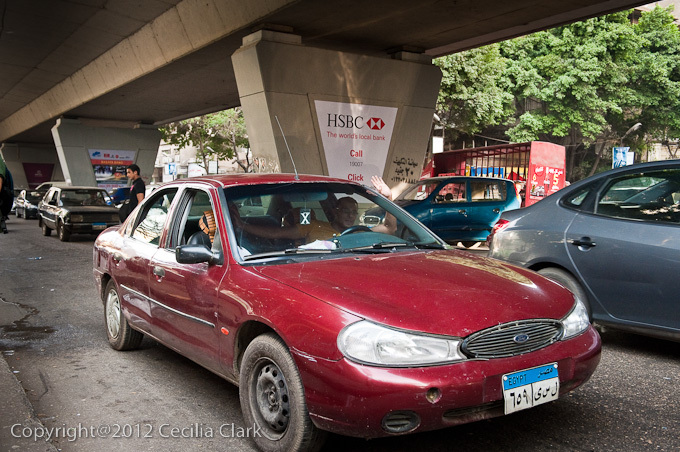 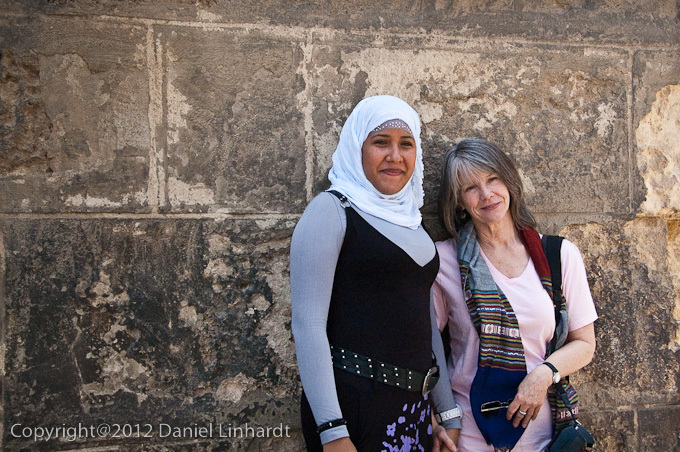 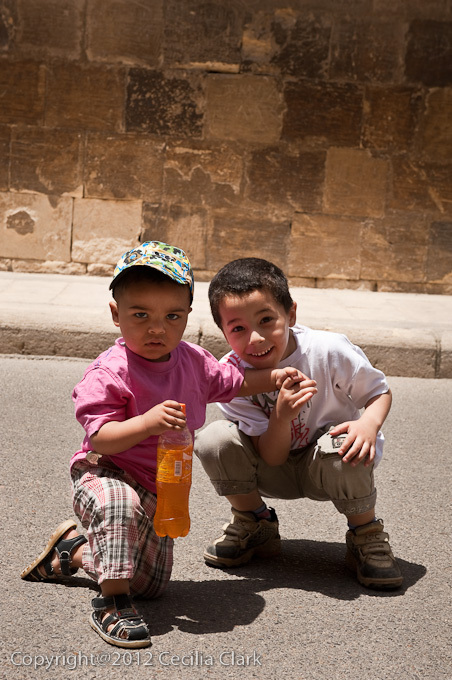 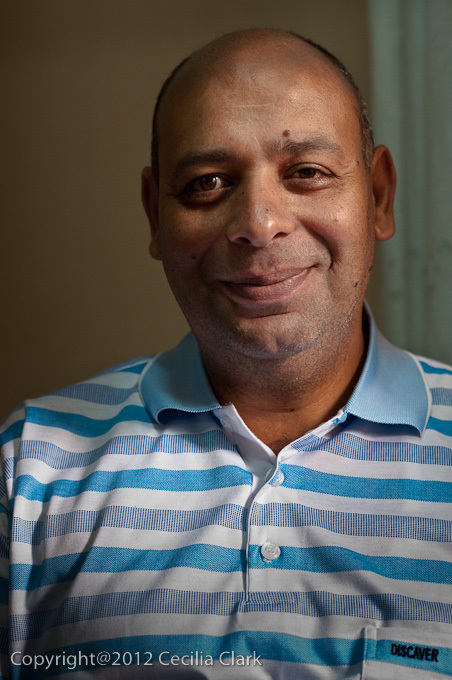 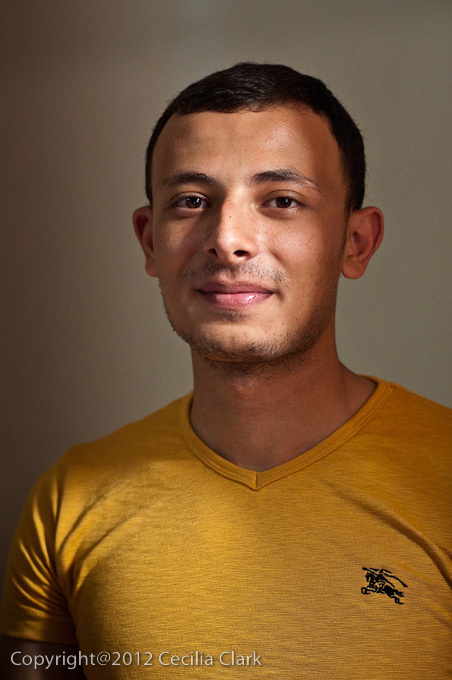 Several people on the street approached us to ask if we had had any problems in Cairo. They wanted to make sure that we were having a good visit. 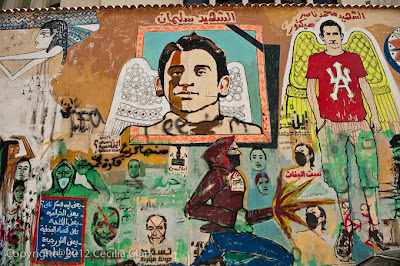 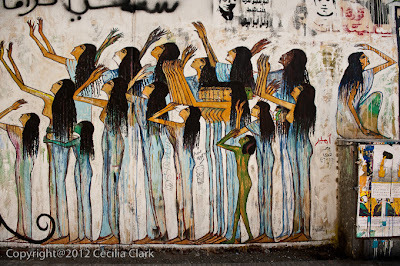 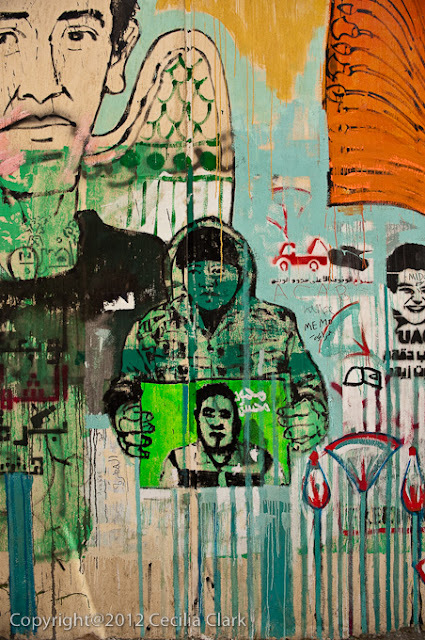 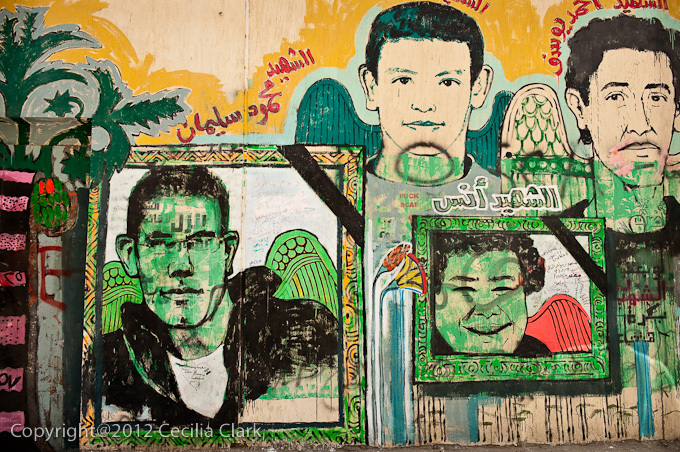 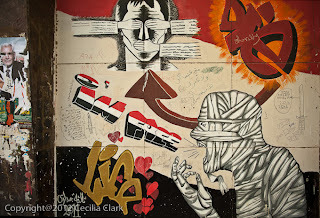 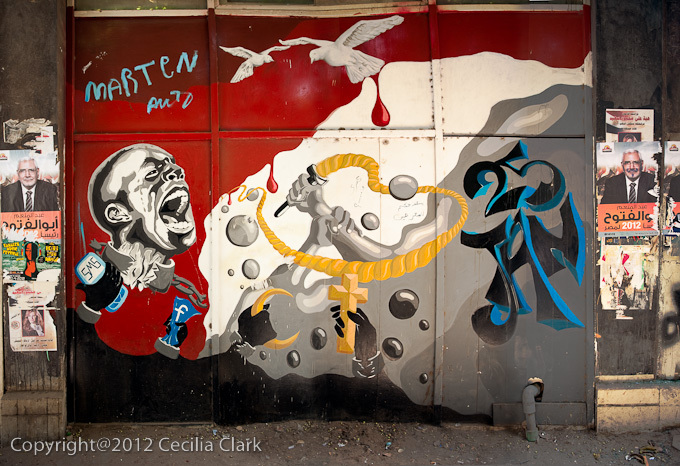 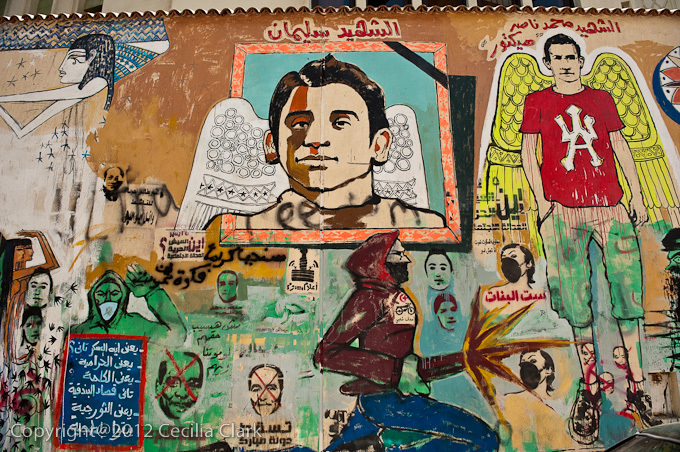 The above image is part of a wall of art on Ismael Muhammed Street in Zamalek near an Art School. I was riveted by the messages in these images. 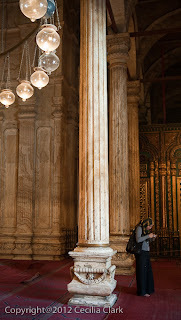 When I was taking photographs, a young woman explained the iconography of each image. 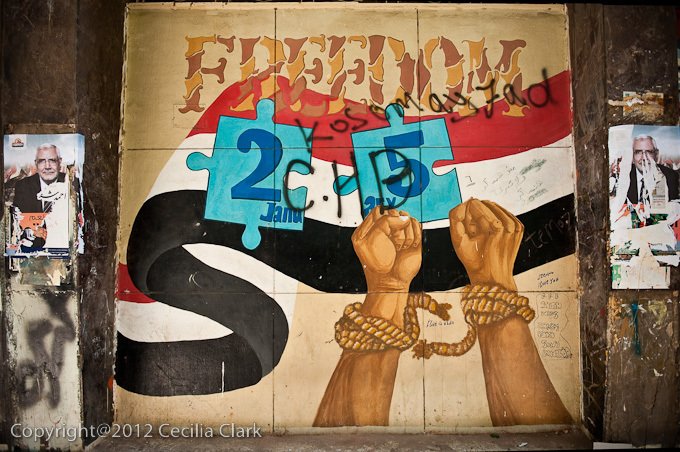 This image contains the date the revolution began (25 Jan), a bursting of wrist cuffs on the hands holding the religious symbols (cross and crescent), and other hands grasping two of the items that fueled the revolution: mobile phones' SMS and Facebook. 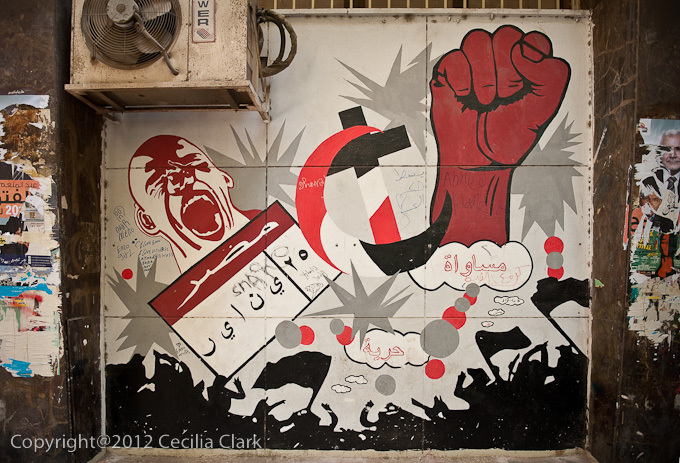 The bubble under the fist says "equality" and the smaller bubble below "freedom". 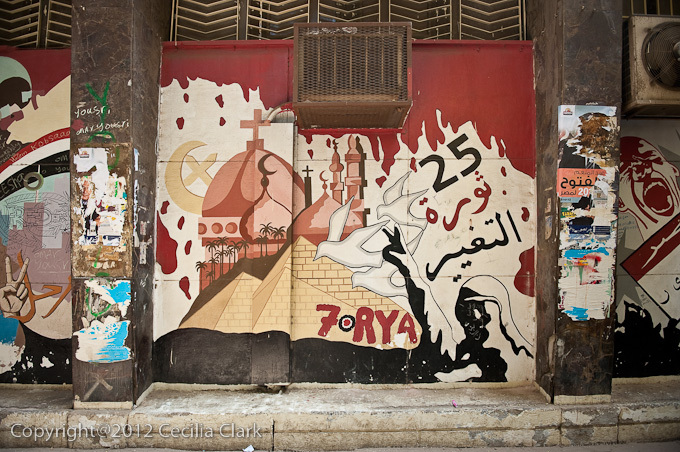 The panel below says "revolution of change" and "7orya" freedom in Arabic. 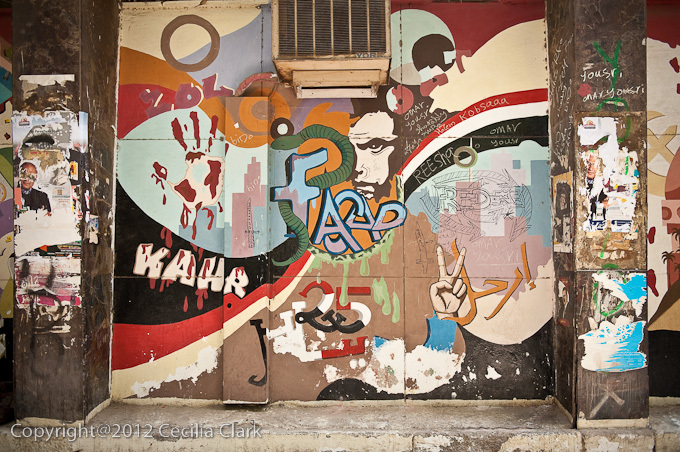 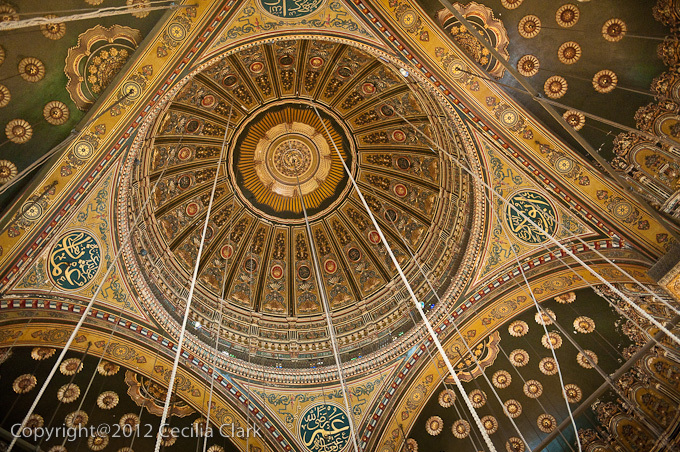 The word in the center of this image, 7orya, means "Freedom" in Arabic. 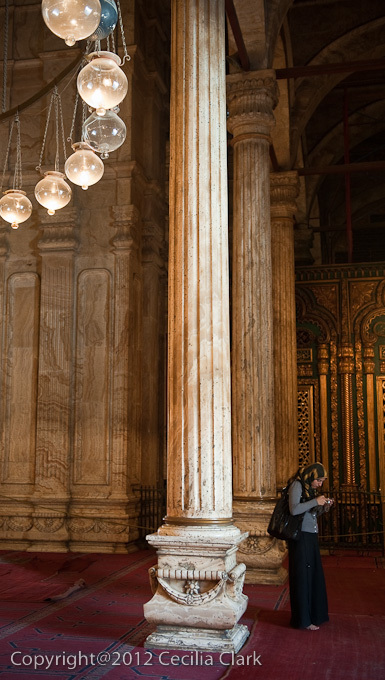 The lightbulb contains a brain and the shape is an "o" in the word. Social networks like Twitter, Facebook, SMS are prominent in these images of revolution. Farther down in this line of graffiti panels there is one of stencil art that says "Raise Thinkers, not Fighters." 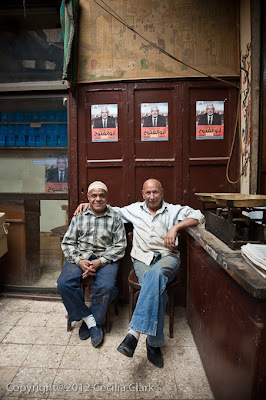 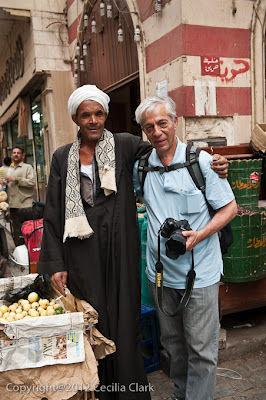 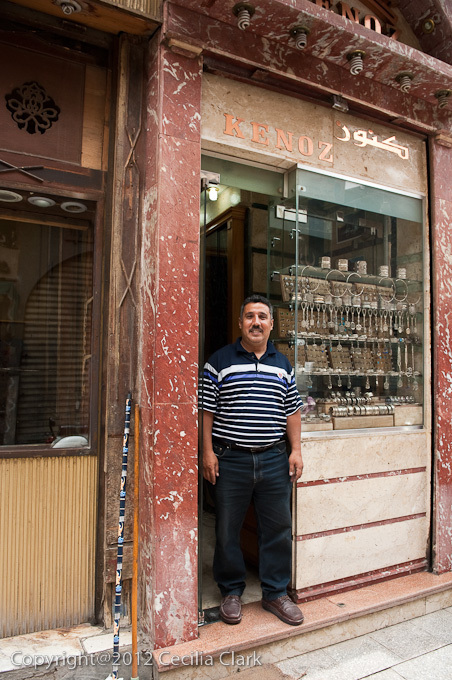 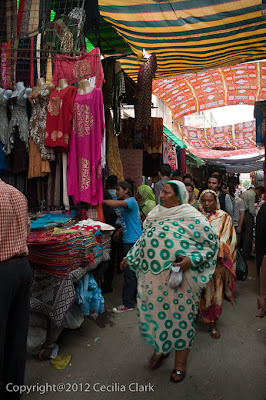 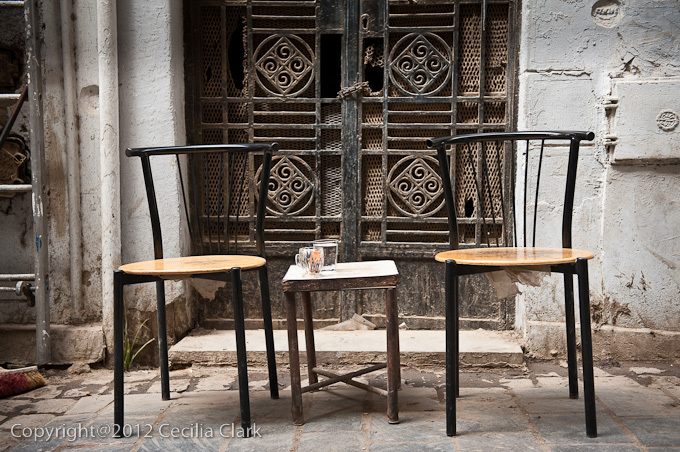 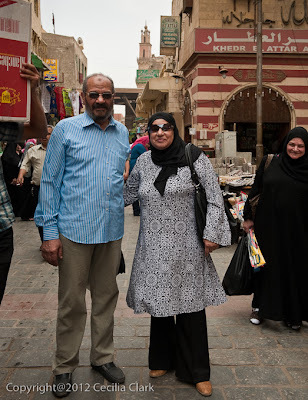 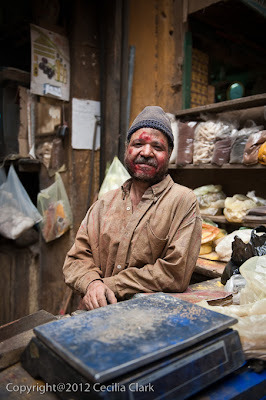 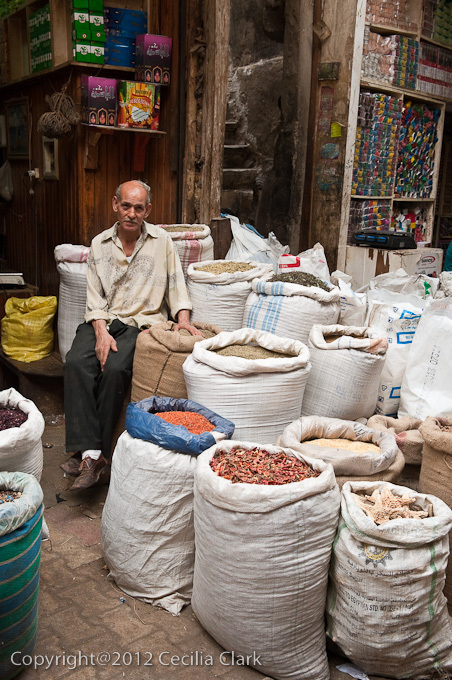 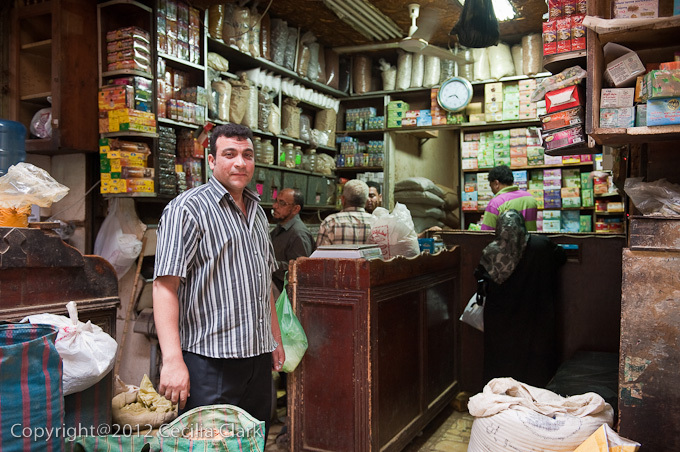 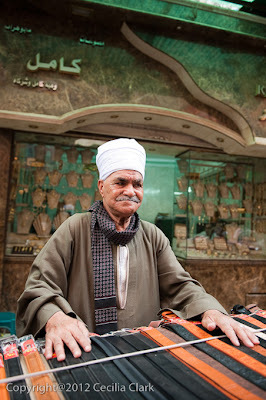 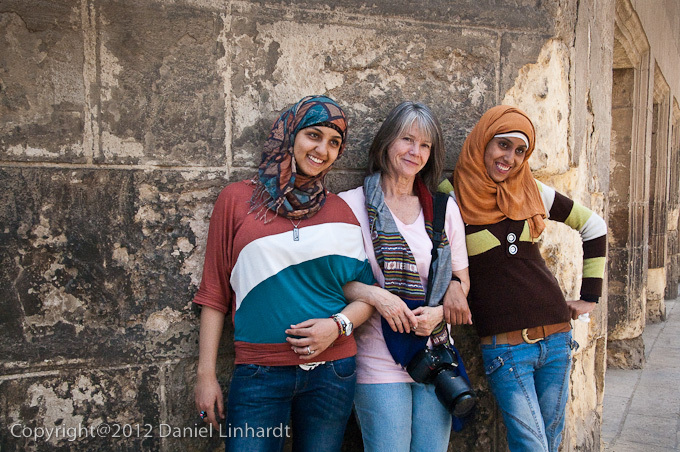 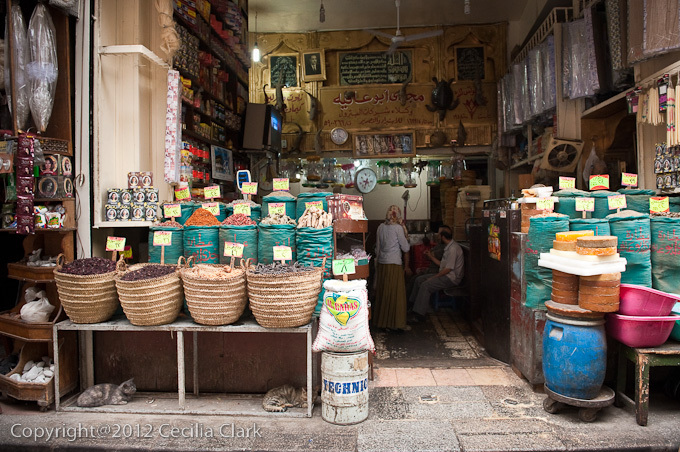 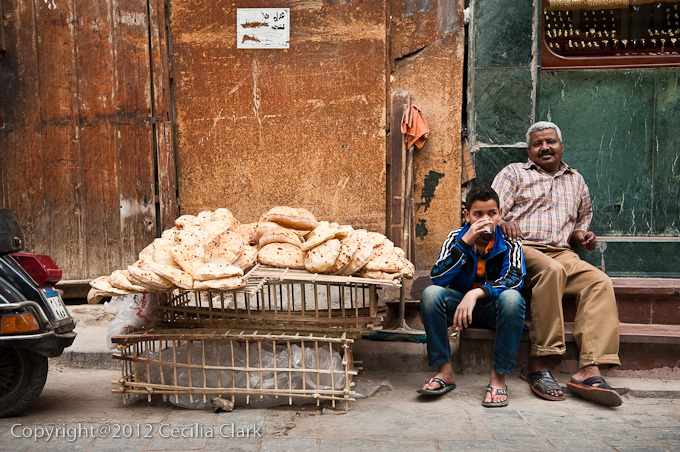 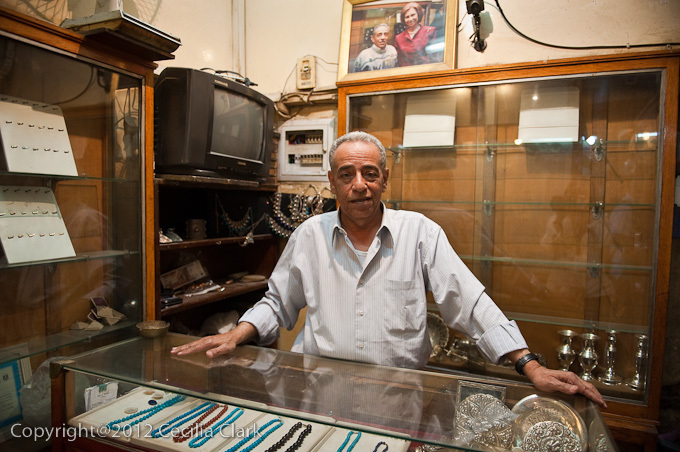 We were hoping to walk to Tahrir Square, but a shop owner warned us not to go there on foot and not with our cameras. 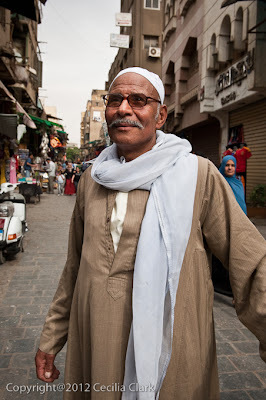 His reasoning was that the square had no police presence, was lawless, and currently occupied by unhappy Salafists. 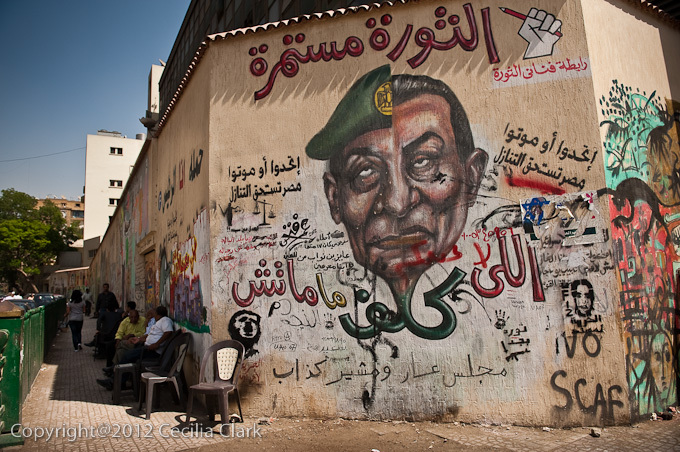 With that warning, on our walk we just skirted Tahrir Square enough to see the Salafi occupation and tents. The US and British Embassies are nearby, and there is a very heavy military presence with tanks and coils of razor wire on all the nearby streets. 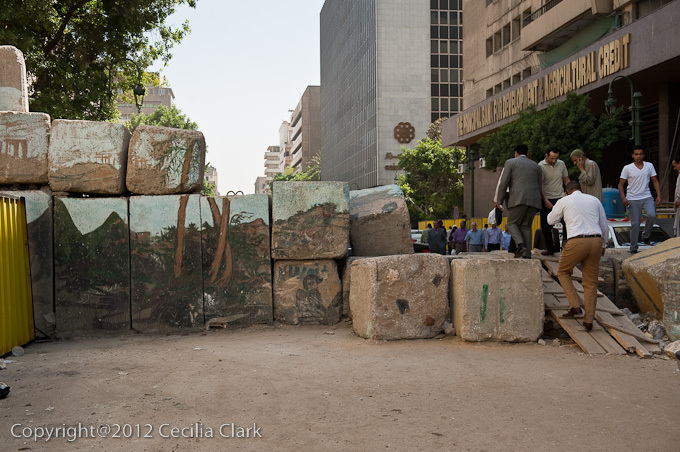 Some streets are barricaded by large stones that have been decorated. 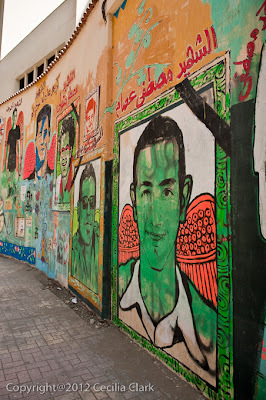 We stopped at a favorite art gallery (Duroub Gallery) across from the American Embassy and bought two small paintings. 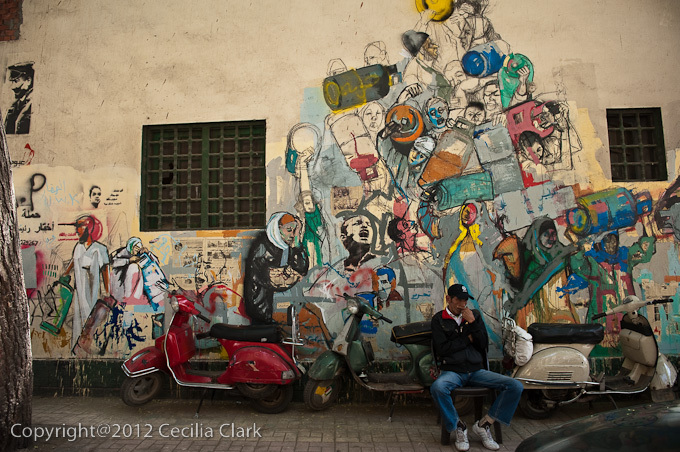 The gallery owner wanted to make sure we could get to AUC safely so she hooked us up with a young man in the neighborhood who escorted us to the University. 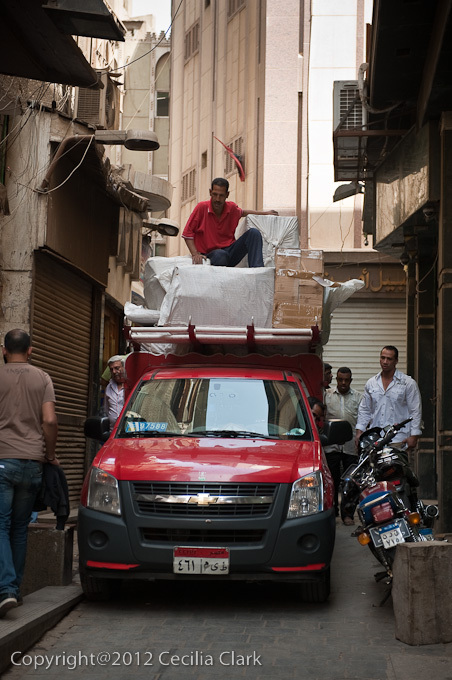 The neighborhood streets are now an obstacle course of barricades and rubble. 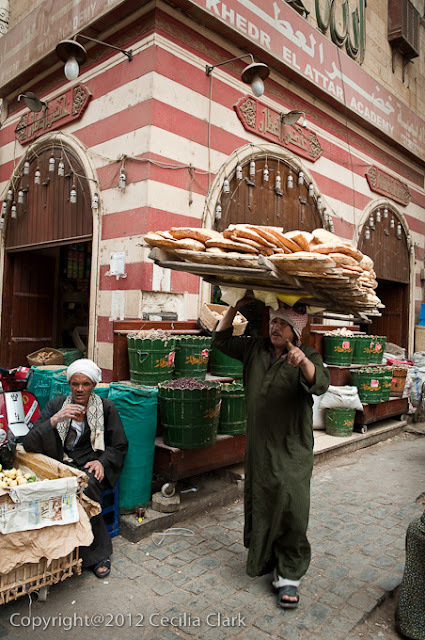 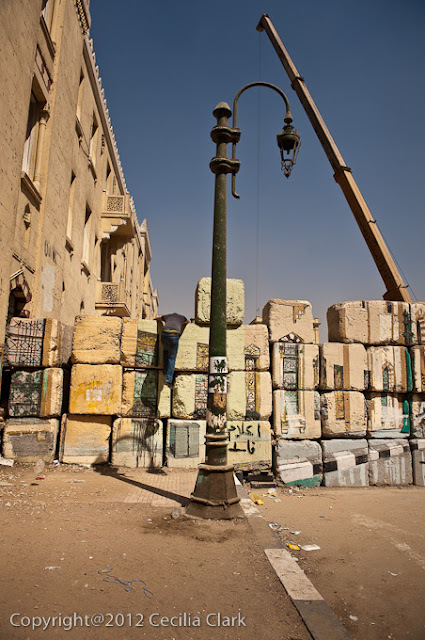 Egyptians go about their normal business using planks to scale these barricades or climbing the walls to shorten their route. The scene on the above wall was an attempt to paint a reproduction of the streets hidden behind the wall. 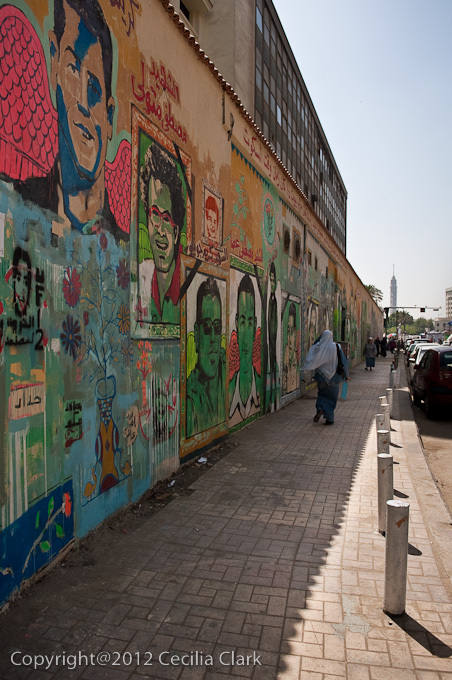 It was the "No Walls Street" graffiti campaign to paint the concrete-block walls/barricades in downtown Cairo, Egypt. 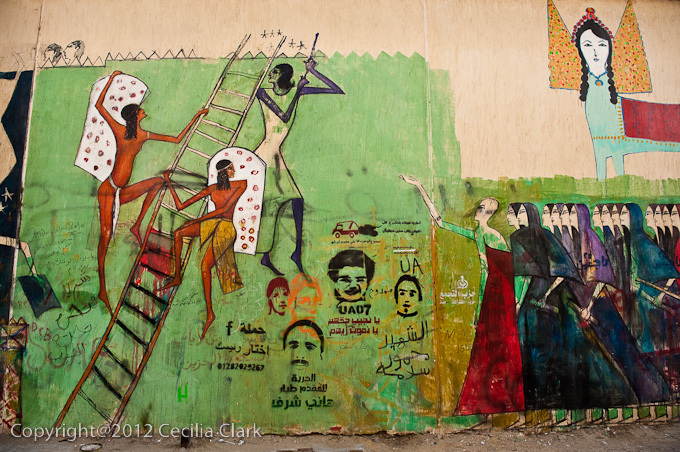 After going to the bookstore at AUC, we took photographs of the wall of graffiti on one side of the university. 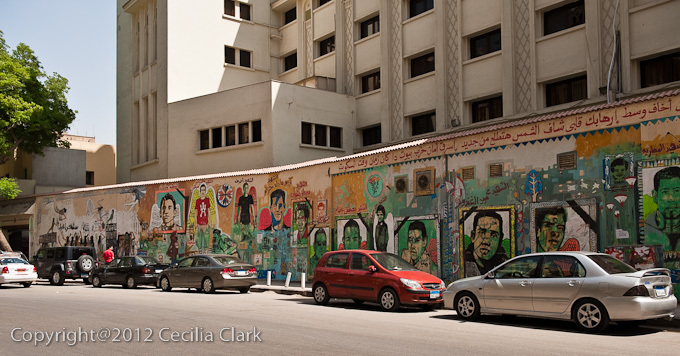 This mural shows female activist Samira Ibrahim (top most portrait), who was forced to undergo a "virginity test" while in detention by the military. 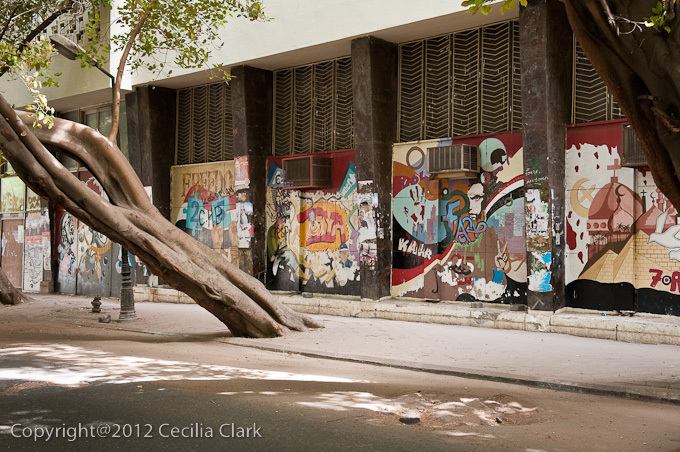 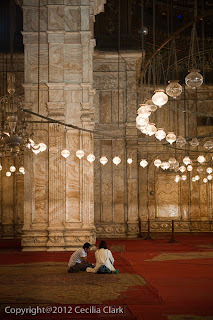 Much of the Cairo we knew is the same. Lovers still stroll along the Kasr Al Nile Bridge. 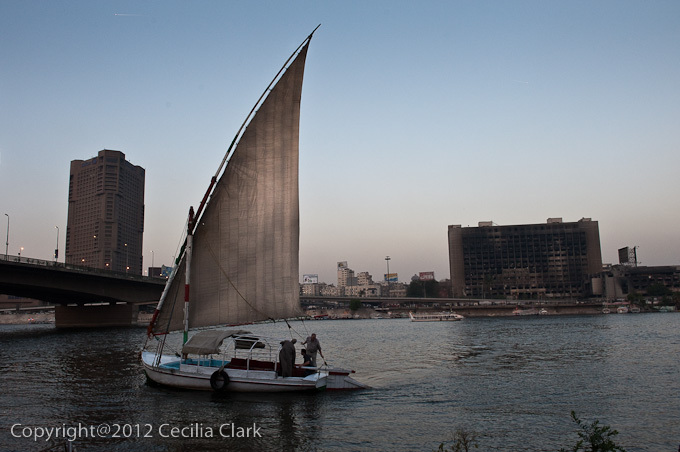 Felucas still ply the Nile dropping their sails to pass under the bridges The party boats on the other side of the Nile still blare their disco music hoping to attract passengers. 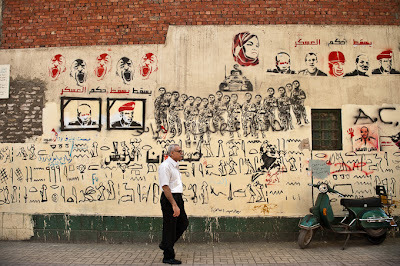 In the photo below taken from Zamalek, the building on the right is the National Democratic Party (NDP) Headquarters building. 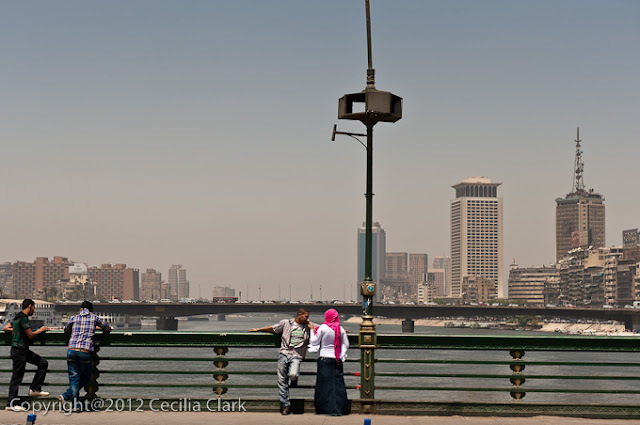 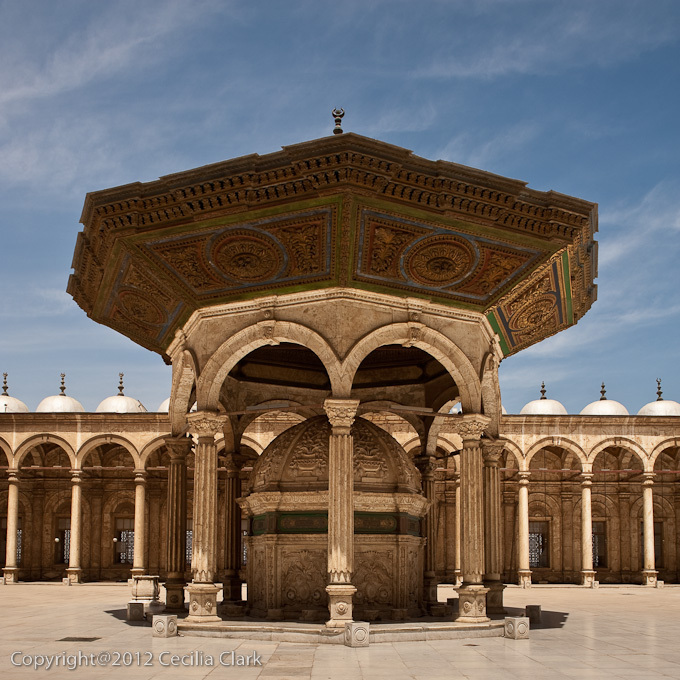 It was burned on January 28, 2011, and its charred hull is still part of the Cairo skyline. 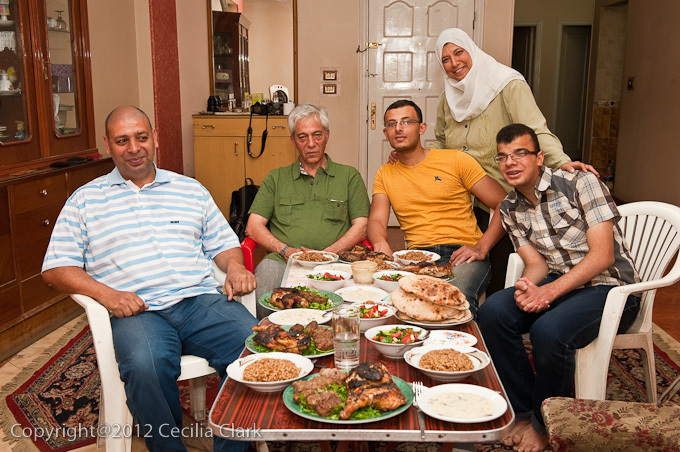 Tonight we had dinner with Rana, Hadia, Sara, and Hadeel. All were Dan's students. 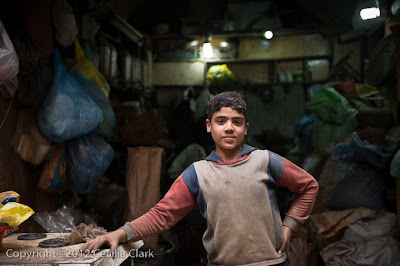 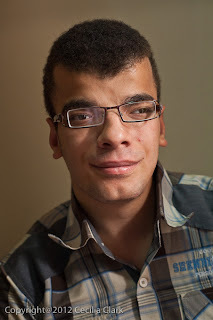 They live with their parents still, but are employed. 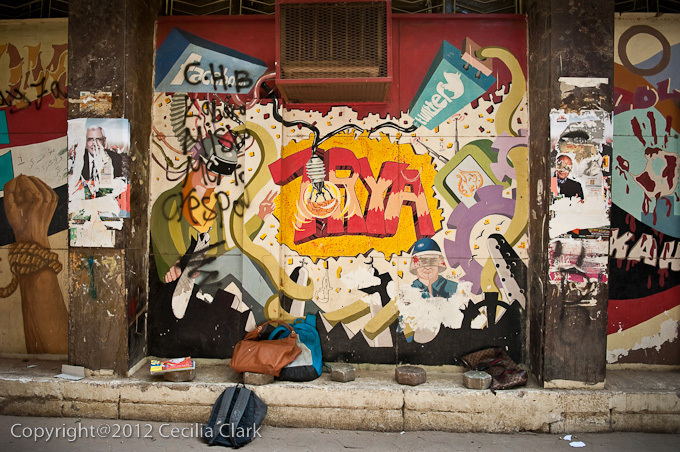 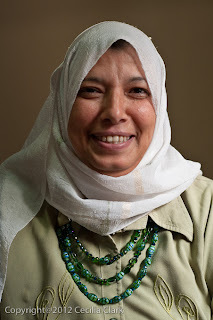 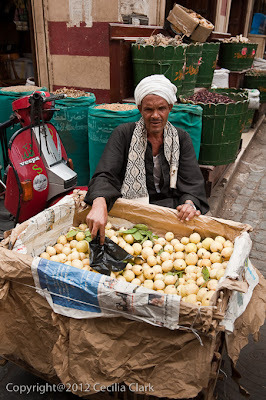 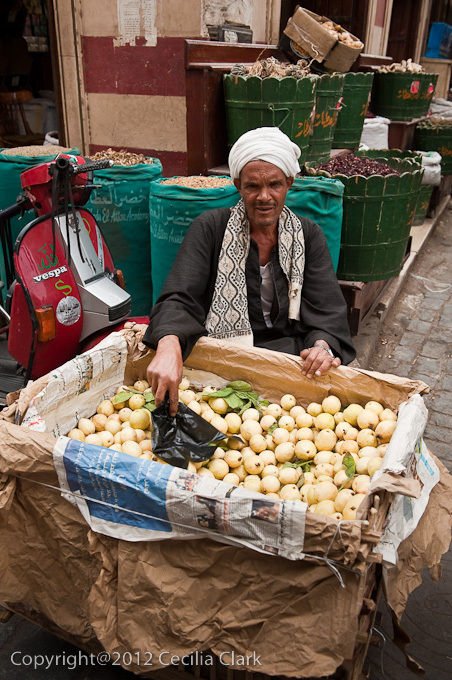 Post-revolution Cairo is not as comfortable and safe for women. 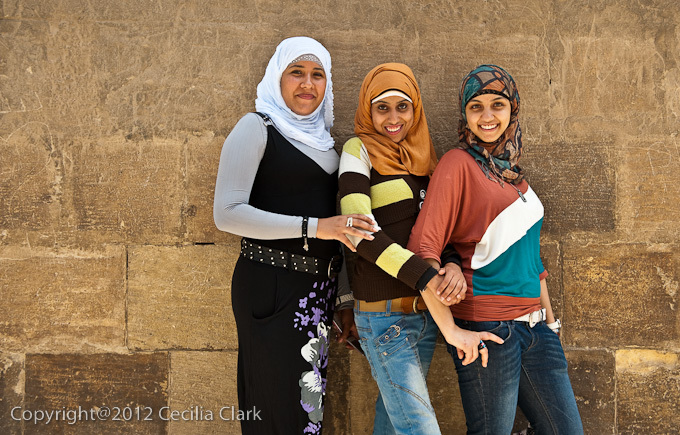 These women have 9:30 pm curfews because their parents are afraid for their daughters to be out later even in a group. 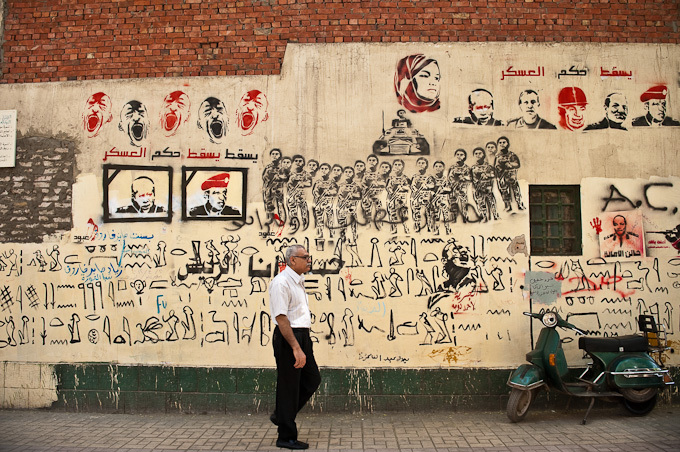 In pre-revolution Cairo, the parties and dinners did not begin until after 9:30 pm. In Zamalek, a restaurant offered early-bird dinner prices if you came before 9:00 pm.